Don’t like paying overages for heavy bags when bringing your dive gear along?? Neither do we! 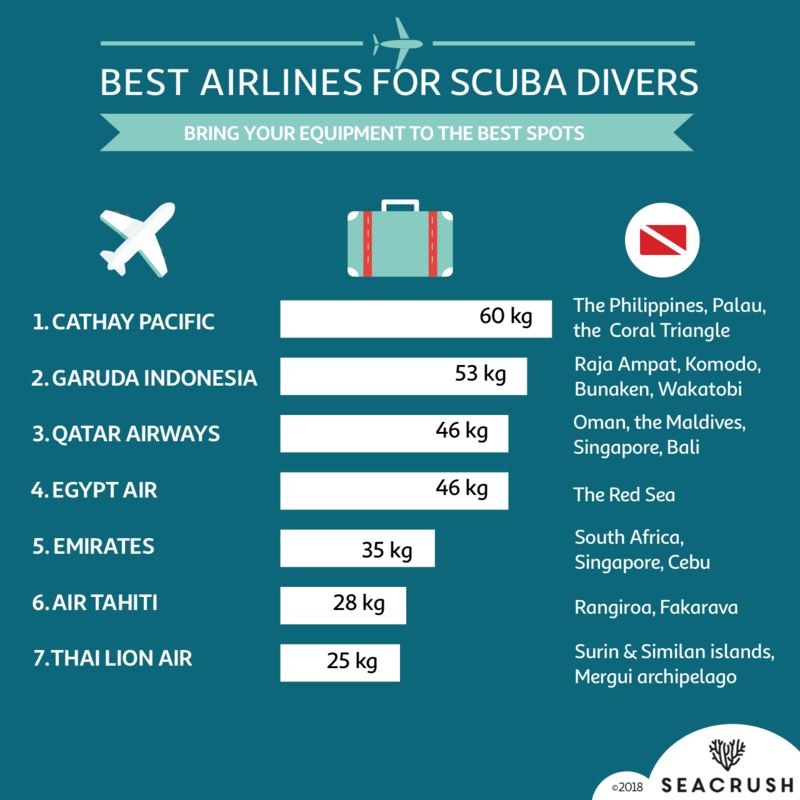 We’ve put our practical research to good use and created our list of best airlines to travel with dive equipment by checked baggage allowance in economy class. We ❤️ these airlines..and their diving destinations! Top Dive Spots: Raja Ampat, Komodo, Bunaken, Nusa Penida, Wakatobi, Alor… the list is endless! Over the years, we see fewer airlines offering free allowance or much weight, so it’s important to pack light. To get some tips, read our article on How to Travel Light (Less Than 10 Kg) with Your Scuba Dive Equipment? Traveling with dive equipment often seems to be a challenge. It can be heavy, it’s fragile, often takes a lot of space.